No, we did not go big wave surfing for lunch today. 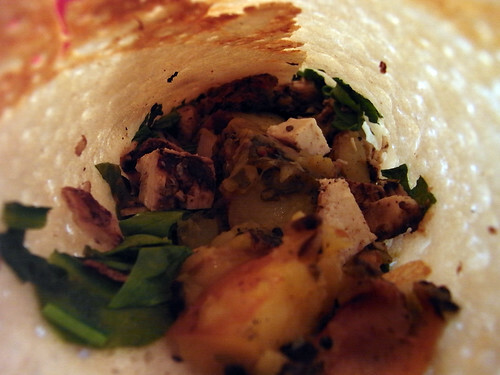 This is the #10 Potato Masala with Grilled Chicken & Spinach Dosa from Hampton Chutney. It's good but we're convinced everything here tastes the same.